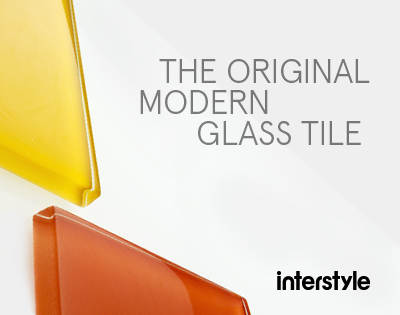 Propelled by an inquisitive buyers in diverse markets, glass tile technology continues to advance. Different manufacturing categories produce different results. Shape, size, thicknesses, surface finish and texture also inform a tile’s look and feel. 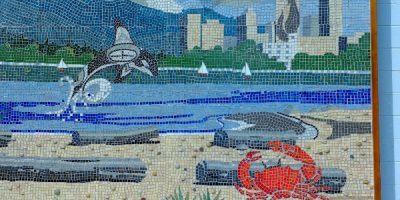 This article outlines the standard variations that can be obtained within a type of tile, and the overall impact that these tile attributes can have. Square tiles come in a wide range of sizes. 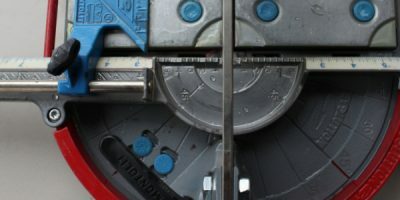 The standard sizes are 25 mm x 25mm (approximately 1″ by 1″) or 50 x 50 mm. These tiles are also sold in paper mounted, mesh mounted or solid “groutless” sheets. The standard mesh or paper mounted size is 300 x 300 mm (12 by 12 inches). Rectangular pieces can be used to give the effect of width or height, as the eye follows the line of the longest dimension. Regular polygons, such as octagons, are rarer, and can be used to create visual interest. Typically, large format tiles of any kind tend to make a large space more intimate, and smaller spaces are usually more suited to smaller format tiles. Small : 1″ by 1″ (25mm x 25 mm); 1″ by 2″, and 2″ by 2″. These can be bought as single tiles, or more typically, in easily mounted in 12 inch squares with a mat backing or removable paper overlay. Large (6″ and 8″ squares) and Extra large (12″ and 24″ squares) formats. Some manufacturers can also supply custom sizes that are even larger than this. For some tiles, for instance, translucent tiles, the thicker the tile, the more intense the color. Standard thickness range between 4 mm and 8 mm. Thinner tiles are relatively rare – as they are more liable to break during shipping and handling. 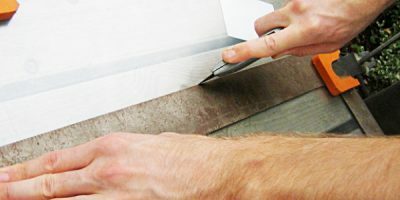 Surface finishes include glossy (also known as satin) and etched (matted). Glossy finishes can give the effect of a satiny, luminescent finish. This texture can also easily reveal manufacturing flaws, cracks and scratches. 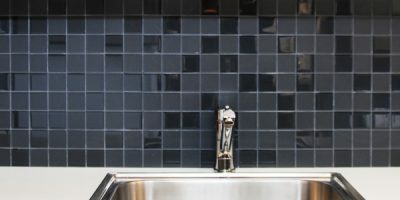 As a result, glossy finished tiles are not recommended for counter tops or floors. An etched finish gives the tile translucent opacity: the tile still has a depth of finish, but it is not transparent. The etched finish has an effect of cooling down, or pacifying the inherent brightness of glass tile, while retaining a subtle depth of color. 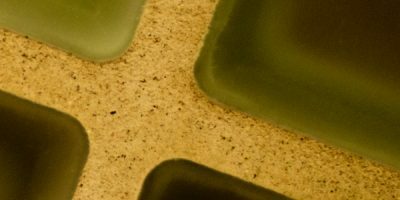 Etched finish glass tiles are found in both commercial and domestic applications. Metallic finishes give glass an eye-catching, metallic sheen that reflects light very faithfully. This type of finish seems to have grown in popularity in recent years. Metallic glazes mixed into the top layer or throughout the tile can also produce a rainbow-like, iridescent effect. 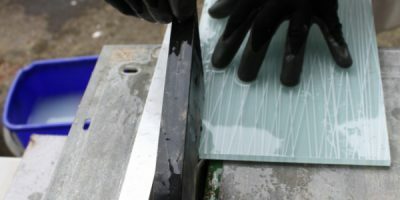 Words and images are sometimes added on top of glass tiles, usually by screen printing. Textures are an additional method of providing visual interest. Textures include flat, rippled, low texture, random texture and relief tiles. Whereas other textures result in variegated reflections, flat textured tiles have a smooth finish. 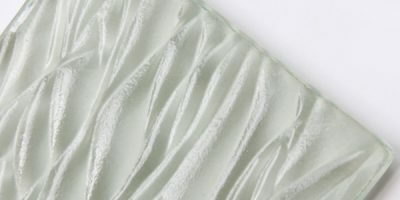 Rippled textures represent a subtle variant of the flat texture tile, coupling the reflective, pool-like qualities of the flat texture tile with a restrained, but definite textural variation. Low texture tiles have small dimples of consistent depth, providing a continuous pattern across the tile’s surface. Irregular ruts and peaks on the tile’s topography are present on random (or “mottled”) textures have. These ruts and peaks usually have a more radical surface depth than on low texture tiles. 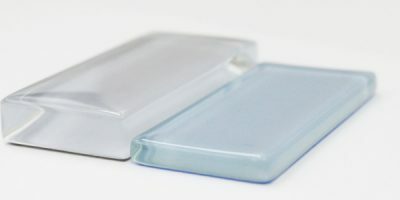 Like ceramic tiles, glass tiles can be molded into definite shapes. Relief tiles are usually used as borders or decorative inserts. New manufacturing techniques and setting materials are giving consumers more choice than ever. Many of the texture and style variations profiled in this article been introduced within the last generation. 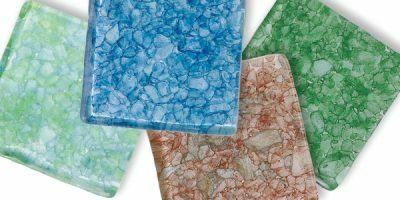 Propelled by an inquisitive buyers in diverse markets, glass tile technology continues to advance; variations in textures and styles will continue to proliferate in the years to come.